Sometimes putting on weight isn’t all about being unhappy and trying to find some comfort in a depressing situation. For Sophie Austin, it was about getting comfortable in a new relationship, eating out and enjoying time with her new boyfriend. 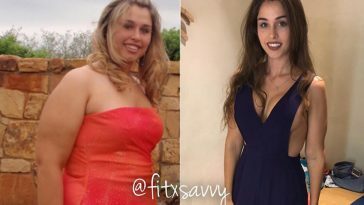 In two years, she ended up getting out of shape and gaining over 40 pounds. During this time, she continued to go the gym, but obviously, something wasn’t going to plan. 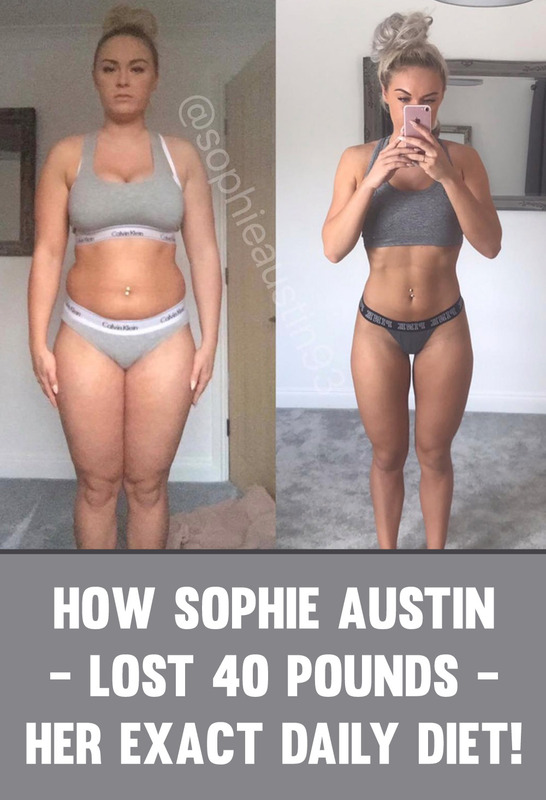 On her Instagram and with Popsugar, Sophie opened up about the various dieting and training periods throughout her time trying to get fit and were she went wrong. 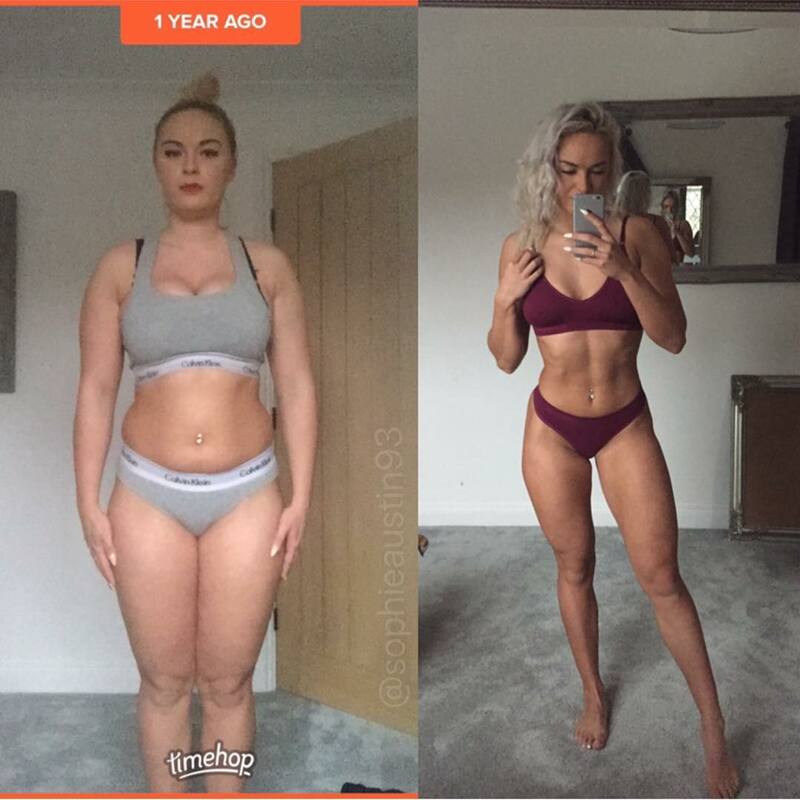 After years of yo-yo dieting and attempting to just “get skinny”, she decided to stop dieting and the weight started to creep up. 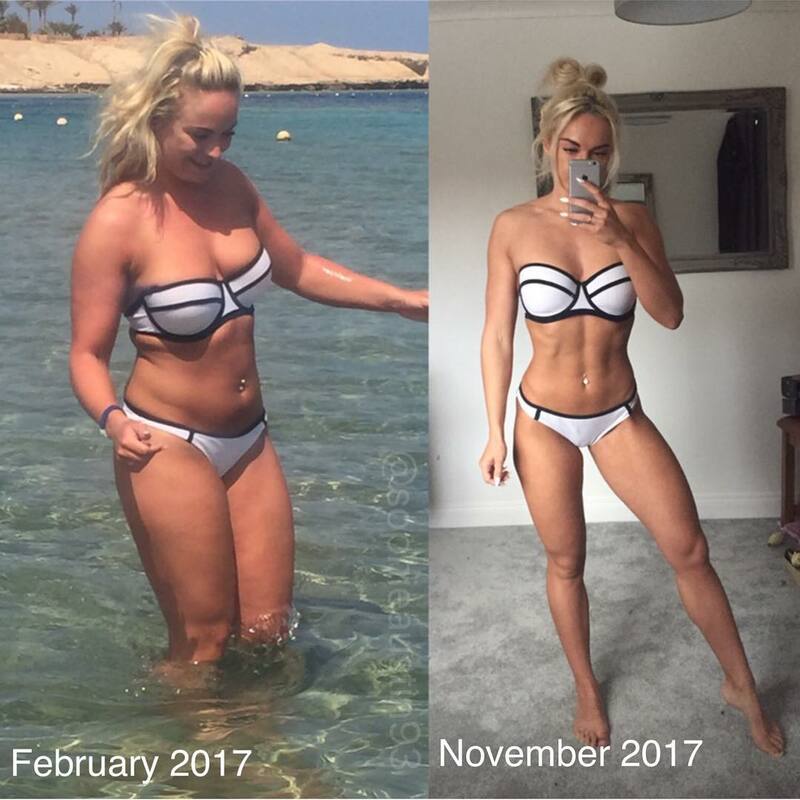 It was this all or nothing attitude that helped her put everything into the challenge and really start seeing results for the first time in her life. 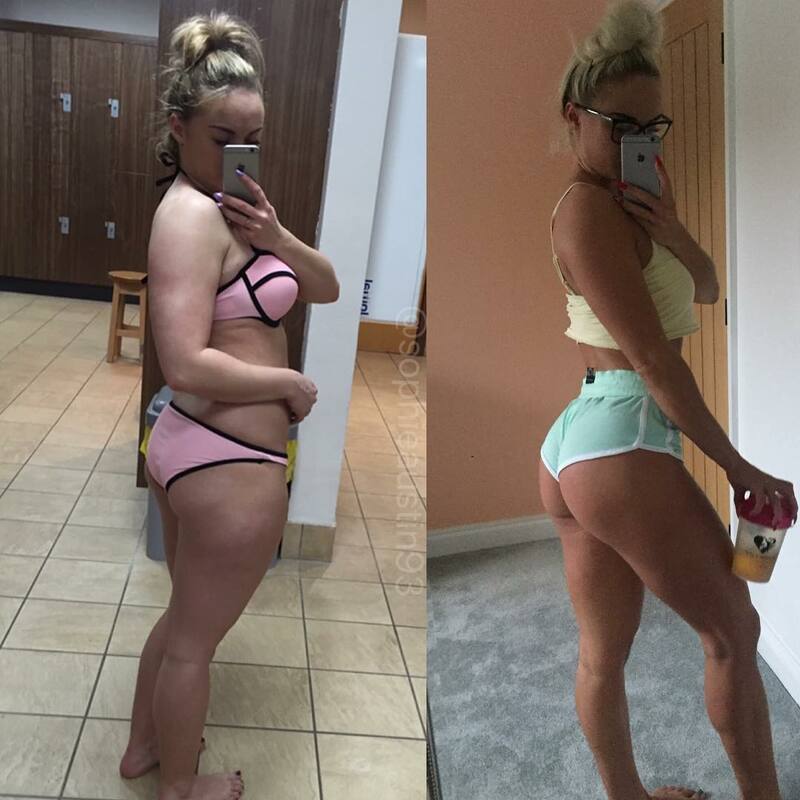 After getting down to a weight Sophie was happy with, she met her boyfriend and stopped obsessing with about her body and staying fit. She slipped into a more comfortable routine, eating what her boyfriend ate and the weight started to pile on again. 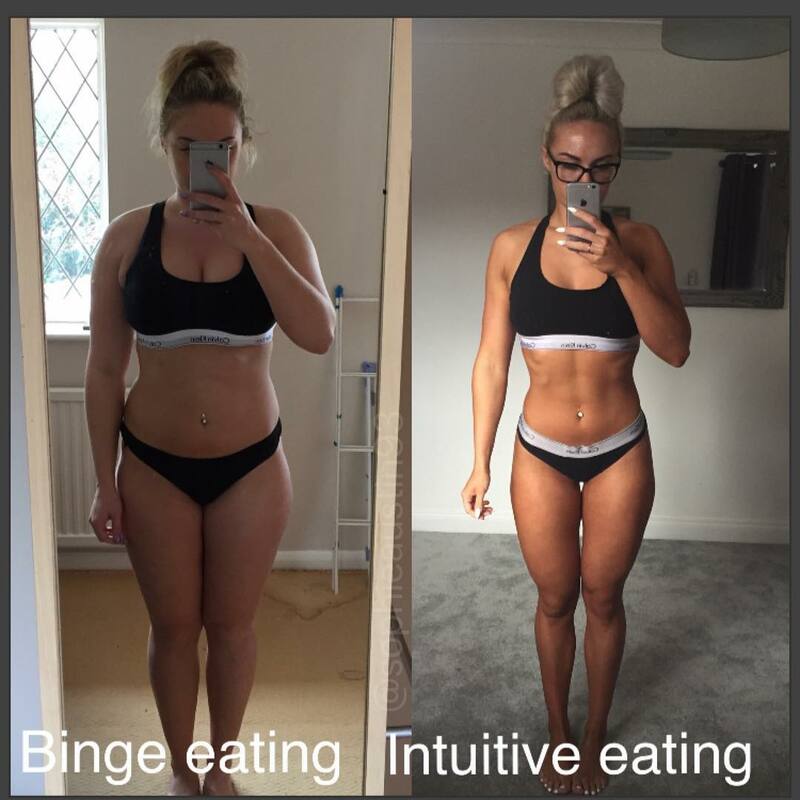 Sophie combined her BBG training plan with a high protein, low carb diet. 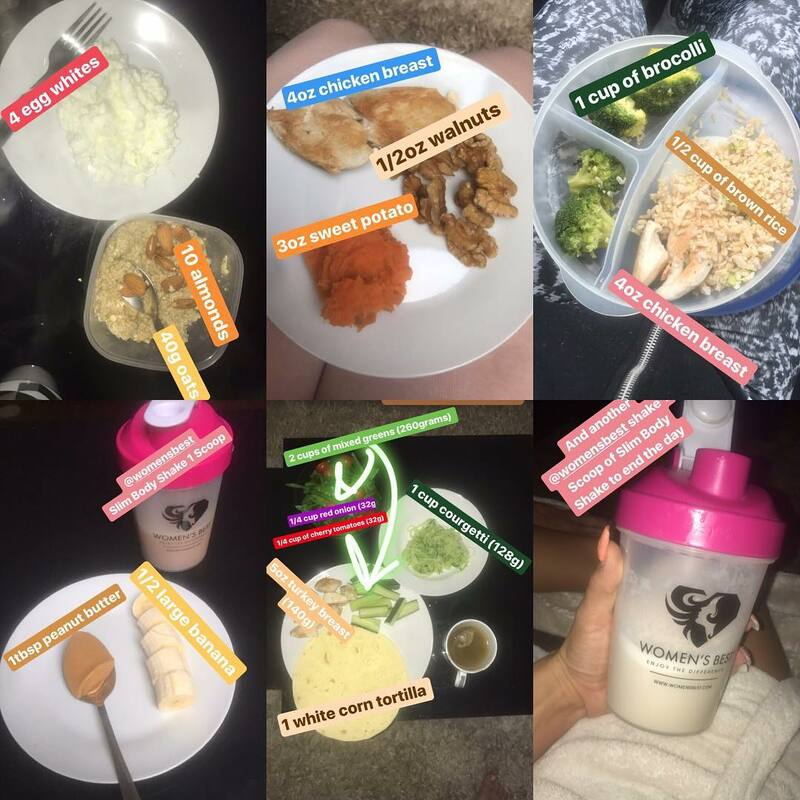 She cut out all junk food and started drinking lots of water to keep her hydrated. 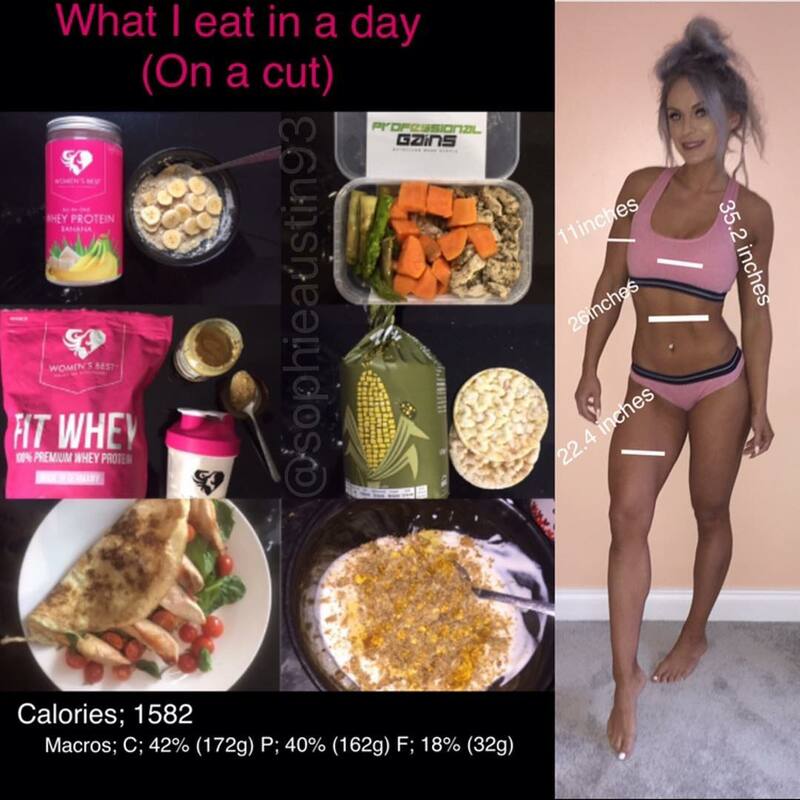 After dropping around 40 pounds, Sophie is know committed to building more muscle so she has altered her diet to include more calories. 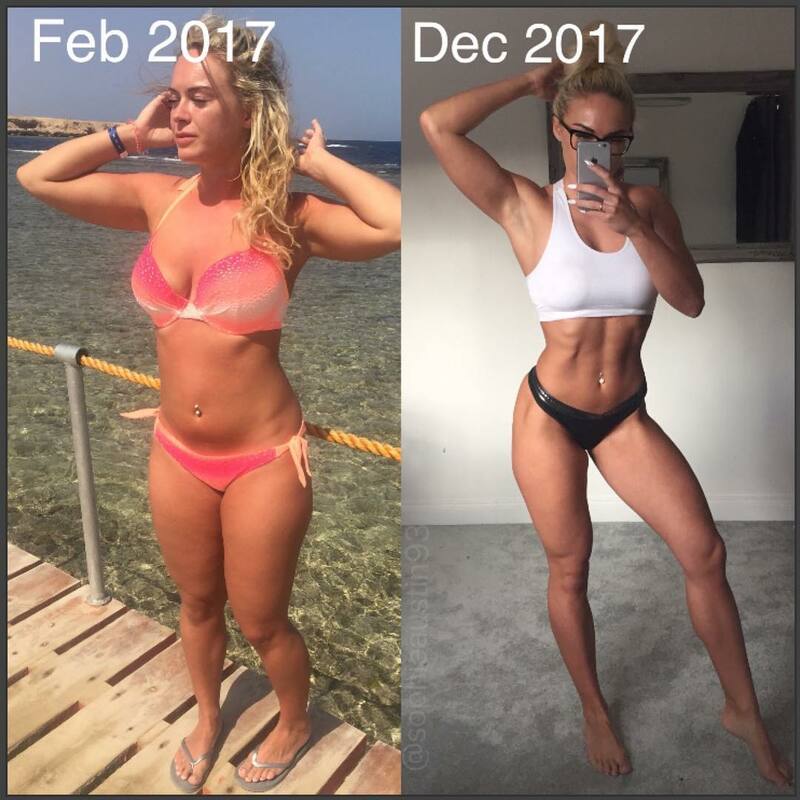 Sophie offers this advice to people who want to change their bodies and live a healthier lifestyle. 6️⃣ 20 Hanging twists . Meal 1: Oats 40g 1/2 Banana 1 Scoop @womensbest Whey protein. Meal 2: @pro_gains prepped meal 113g Sweet Potato 85g chicken breast 90g. Snack 1: @womensbest FitWhey 2 scoops and 1 tablespoon peanut butter. Snack 2: 2 Kallo rice cakes. Meal 4: Omelette (5 egg whites 1 egg) 1 Chicken breast handful of spinach and 10 cherry tomatoes. Breakfast: 1/3 cup Oats 10 Almonds and 4 Egg Whites. Mid Morning Snack: 4oz Chicken Breast 3oz Sweet Potato and 1/2oz Walnuts. Lunch: 4oz Chicken 1/2 cup Rice and 1 cup Broccoli. Mid Day Snack: 1 Scoop of @womensbest Slim Body Shake 1/2 Banana and 1tbsp Peanut Butter. Dinner: 5oz Turkey 1 White Corn Tortilla 1 cup of Courgetti 2 cups of Mixed Greens 1/4 cup Red Onion 1/4 cup Cherry Tomatoes & Balsamic Vinegar with 10 Almonds. Late Snack: 1 Scoop @womensbest Slim Body Shake. 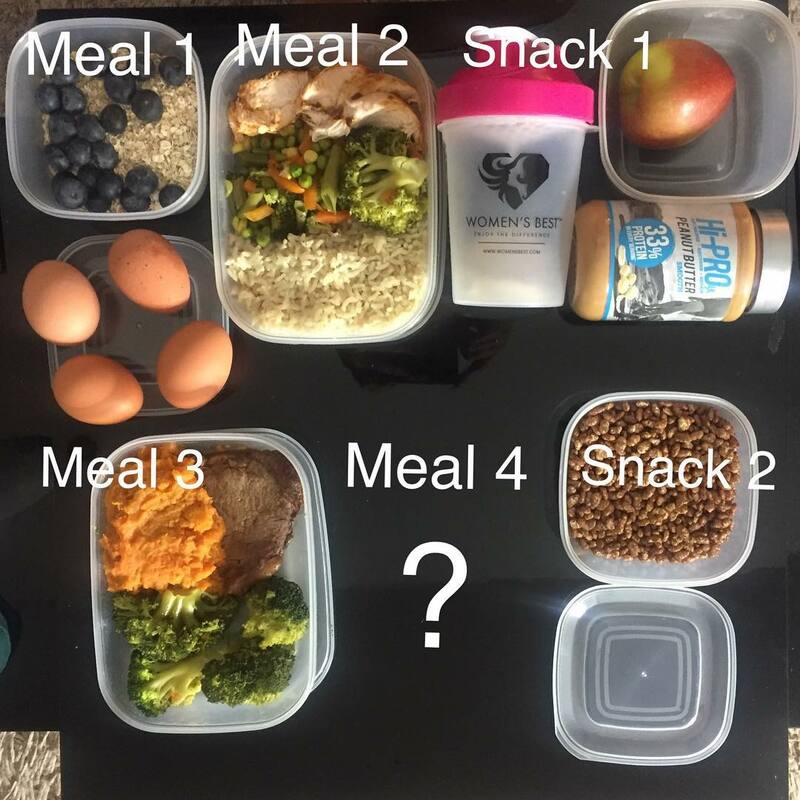 Totals: Calories – 1518 Protein; 181g Carbs; 124g Fat; 40g. 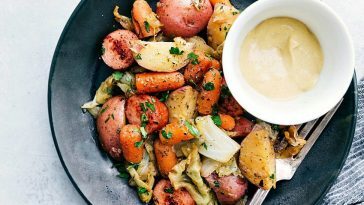 Previous article 37 Salad Recipes That Will Help You Smash Your Weight Loss Goals! 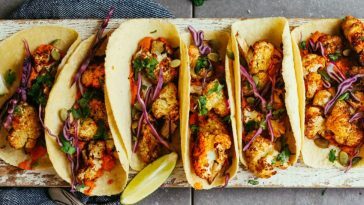 Next article 39 Keto Chicken Recipes That Are Super High Protein & Low Carb!